I am a big fan of both Brian Eno and Underworld, having bought Edgeland, Second Toughest in the Infants and Dubnobasswithmyhead, so lately I have been listening to Someday World, a collaboration album by British musician Brian Eno and Karl Hyde, of British electronic group Underworld.The album was released on May 5, 2014. It is Eno’s first album since releasing Lux in 2012 and his first collaboration album since Drums Between the Bells with Rick Holland in 2011. It is also Hyde’s second album after Edgeland in 2013. Eno previously collaborated with Underworld on the track “Beebop Hurry” in 2011. He also remixed Karl Hyde’s ‘Slummin’ It for the Weekend” in 2013. The album features a number of supporting musicians, including Coldplay’s Will Champion, John Reynolds and Andy Mackay of Roxy Music and was produced by Brian Eno with 20 year old Fred Gibson.As you would expect there are elements of Underworld which when combined with Brian Eno and all the other supporting musicians turns the album into an innovative, eclectic hub incorporating pop, jazz, afrobeat and practically everything in between; all whilst bustling with a life and creative zeal. So far The satellites is my favourite song so far but the others are growing on me gradually. Here is the track-listing for the album. 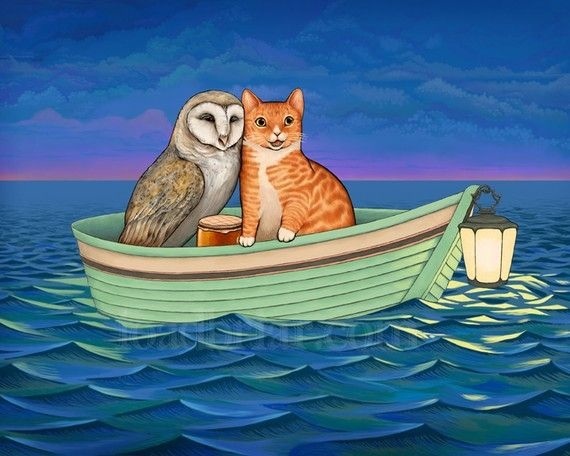 am a big fan of British artist, illustrator, author, and poet Edward Lear who was born 12 May 1812, he is renowned today for his literary nonsense, in poetry and prose, and especially his limericks, a form that he popularised. Lear was born into a middle-class family in the village of Holloway, and was raised by his eldest sister, 21 years his senior. Due to the family’s failing financial fortune, at age four he and his sister had to leave the family home and set up house together. Ann doted on Edward and continued to mother him until her death, when he was almost 50 years of age. Lear suffered from health problems. From the age of six he suffered frequent grand mal epileptic seizures, and bronchitis, asthma, and in later life, partial blindness. Lear experienced his first seizure at a fair near Highgate with his father. The event scared and embarrassed him. Lear felt lifelong guilt and shame for his epileptic condition. His adult diaries indicate that he always sensed the onset of a seizure in time to remove himself from public view. How Lear was able to anticipate them is not known, but many people with epilepsy report a ringing in their ears (tinnitus) or an aura before the onset of a seizure. In Lear’s time epilepsy was believed to be associated with demonic possession, which contributed to his feelings of guilt and loneliness. When Lear was about seven he began to show signs of depression, possibly due to the constant instability of his childhood. He suffered from periods of severe depression which he referred to as “the Morbids. After a long decline in his health, Lear died at his villa in 1888, of the heart disease from which he had suffered since at least 1870. Lear’s funeral was said to be a sad, lonely affair by the wife of Dr. Hassall, Lear’s physician, none of Lear’s many lifelong friends being able to attend. Lear is buried in the Cemetery Foce in San Remo. The centenary of his death was marked in Britain with a set of Royal Mail stamps in 1988 and an exhibition at the Royal Academy. Lear’s birthplace area is now marked with a plaque at Bowman’s Mews, Islington, in London. May 12th is International Nurses’ Day in addition International Nurses’ week (IND) is also celebrated around the world in early May of each year, to mark the contributions nurses make to society. The International Council of Nurses (ICN) has celebrated this day since 1965. In 1953 Dorothy Sutherland, an official with the US. 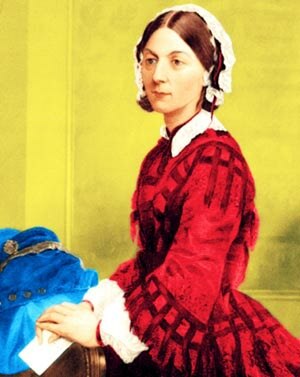 Department of Health, Education and Welfare, proposed that President Dwight D. Eisenhower proclaim a “Nurses’ Day”; he did not approve it.In January 1974, 12 May was chosen to celebrate the day as it is the anniversary of the birth of Florence Nightingale, who is widely considered the founder of modern nursing. Each year, ICN prepares and distributes the International Nurses’ Day Kit. The kit contains educational and public information materials, for use by nurses everywhere.In 1999 the British public sector union UNISON voted to ask the ICN to transfer this day to another date, saying Nightingale does not represent modern nursing. As of 1998, 8 May was designated as annual National Student Nurses’ Day. As of 2003, the Wednesday within National Nurses Week, between 6 and 12 May, is National School Nurse Day. Each year a service is held in Westminster Abbey in London. During the Service, a symbolic lamp is taken from the Nurses’ Chapel in the Abbey and handed from one nurse to another, thence to the Dean, who places it on the High Altar. This signifies the passing of knowledge from one nurse to another. At St Margaret’s Church at East Wellow in Hampshire, where Florence Nightingale is buried, a service is also held on the Sunday after her birthday.